Check out our superhero with cape vector character. 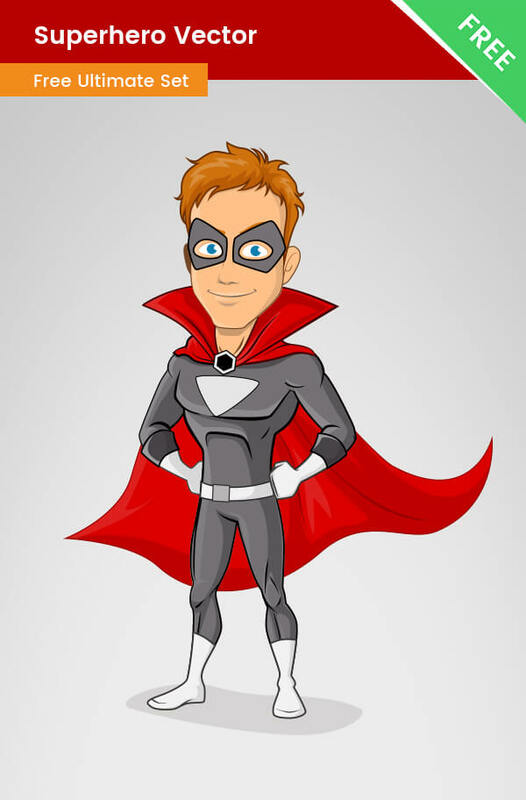 This cartoon superhero has a great red cape and comes for free download. Our superhero with a cape is made of vector shapes, so you can easily modify the character’s colors and shapes to fit your designs. If you are not familiar with vector-based software, you can use the included transparent PNG file. This vector character with a cape is available for free download now, so don’t hesitate and grab it now.